I did a little examination of the designated hitter rule for my Law and Economics course this past semester. Some portions of the paper include excerpts from other papers or quotes from economists, but because of the difficulty of citing on blogger, you will have to comment or email me if you wish to know where credit is due (as shown by the numbers throughout the paper). Sorry for that inconvenience! Enjoy! Let me know what you think. Today, baseball is considered America’s pastime, but this was not always the case. In 1973, amid waning fan interest, the American League (AL) of Major League Baseball (MLB) instituted the designated hitter rule1. The National League (NL) did not adopt the change. The permanent implementation of the designated hitter rule has created an asymmetry between the AL and the NL, as well as between baseball fans, which has persisted for more than four decades. Proponents of the rule argue that it boosts the much-needed offense while eliminating monotonous managerial decision-making.2 Opponents contest that the rule eliminates managerial finesse and turns baseball into an undesirably predictable game.3 In any case, with the AL adoption of the rule, engineers of baseball have inadvertently created a delightful scenario for economists: the designated hitter rule creates the potential for a moral hazard problem. Further, this paper will examine other costs and benefits of the designated hitter rule, in particular whether or not the benefits of the designated hitter rule outweigh the costs, including moral hazard. 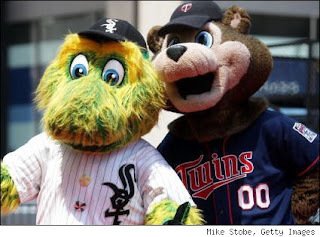 With the Twins losing Michael Cuddyer and Jason Kubel to free agency, going to the Rockies and the Diamondbacks, respectively, there has ben a lot of discussion about the Twins and White Sox rivalry losing a lot of history. We've lost Thome (who used to be a White Sox/sock? ), Cuddyer and Kubel. They lost Ozzie Guillen, who always had plenty to say before during and after a Twins White Sox game. Delmon Young: traded to Detroit last August, only to go on and be more awesome than he ever was with the Twins. Jim Thome: traded to Cleveland last August, signed with the Phillies. 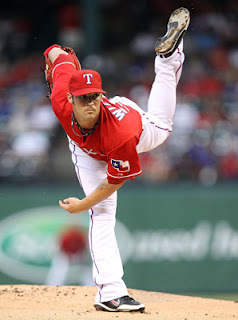 Joe Nathan: signed with Texas (which I think fits him perfectly, though it makes me sad). Kevin Slowey: Traded to the Rockies. Michael Cuddyer: Signed by the Rockies. Jason Kubel: Signed by Arizona. We've lost a lot of history, it's true - especially with Cuddy and Kubel. Kubel hit 22 of his 104 career home runs against the White Sox pitching staff. 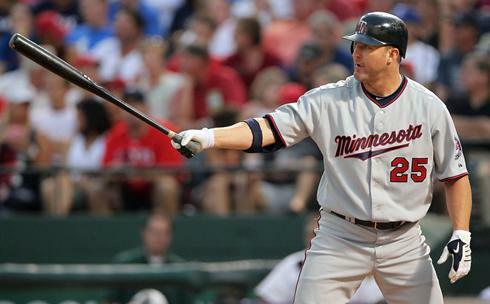 Cuddy played in 145 Twins Sox games, where he hit .356 off Mark Buehrle, John Danks, Gavin Floyd and Jake Peavy. I cannot handle having another terrible season. I HATE HATE HATE losing to the Sox. 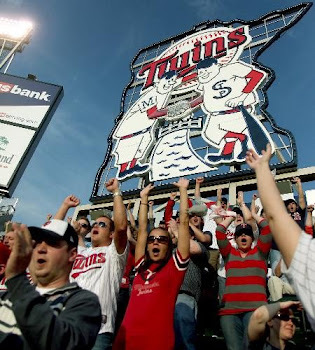 The Twins need to get their act together and get some free agents aboard. My last post was how the Twins are looking to be terrible again next year. With that, I have searched high and low for ways to make our opponents weaker since we obviously won't be stronger - I want to narrow the talent gap. How? Through insults. I've found "The Big List of Pitcher Heckles" and I propose the Twins use these to get into the minds of the opposing pitcher. We need as many baserunners as possible, in hopes that those runners turn into runs. Do you have any heckler favorites? Comment them! We need all the help we can get. Looks like the Minnesota Twins will be sifting through the free agent leftovers. But, hey, that's alright - we had a great year last year and can handle dumping great players (Joe Nathan) and getting poor players in return. We need a starter. Mark Buehrle was picked up by the Marlins, C.J. Wilson by the Angels... who remains? Edwin Jackson and a bunch of veterans who are short on career longevity, which doesn't really work when you are in a rebuilding year anyway. What is the point of rebuilding when you'll just have to completely remodel next year? I liked C.J. Wilson. We needed to try harder for him. I know Terry Ryan is trying to cut the budget, but right now we should be focused on not cutting wins. After all, last year we almost hit 100. Don't have a short memory, Twins fans. I'm still bitter. It has been a weak year for the free agent class, meaning the Twins aren't likely to trade for a starter. Teams just aren't willing to do it and, when they are, they demand quality prospects in return. Of which the Twins have little. Are we in for another rough year? Probably. 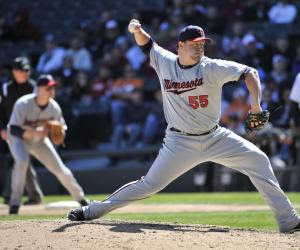 To the disappointment of many Minnesota fans, the Twins found their closer in singing Matt Capps to a one-year deal worth $4.5 million that includes a $6 million option for 2013 with a $250,000 buyout. Capps blew nine saves in 25 chances last year and held a 4.25 ERA. 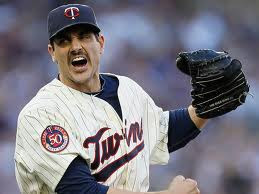 The Twins lost Joe Nathan to the Texas Rangers. The Twins remain confident he'll bounce back next year after dealing with forearm issues throughout the season. Minnesota dealt Slowey to the Rockies for a player to be named. On a side note, I saw the Rockies at Coors Field this summer and they have quite a few talented players (despite their record) so I hope we get a good one. The way the Twins have been working in the offseason, chances are we won't though. The Twins also selected right-handed pitcher Marty Popham from the Indians organization and lost right-handed pitcher Shooter Hunt to the Cardinals organization in the Minor League phase of the Rule 5 Draft. 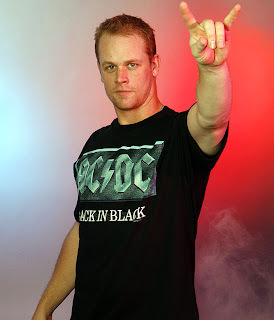 Justin Morneau. Player of four All-Star games, winner of two Silver Slugger awards and recipient of AL MVP, all while manning first base. The Minnesota Twins are now considering moving him to full-time DH. 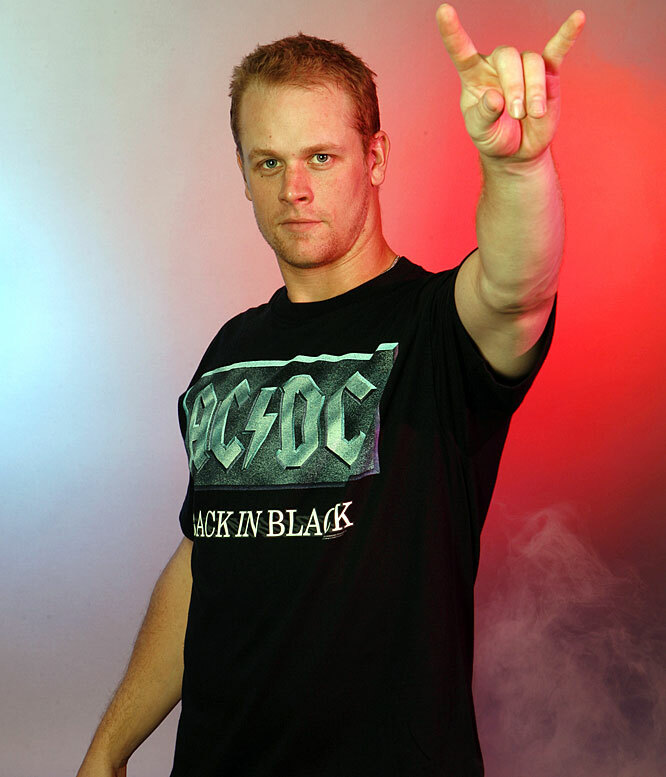 Morneau, as we all know too well, has suffered from countless injuries in the past few years. Most recently, Morneau ended his season in late August when he suffered from concussion-like symptoms. Last year Morneau his only .227 with four home runs and 16 doubles. His last game appearance was August 28.